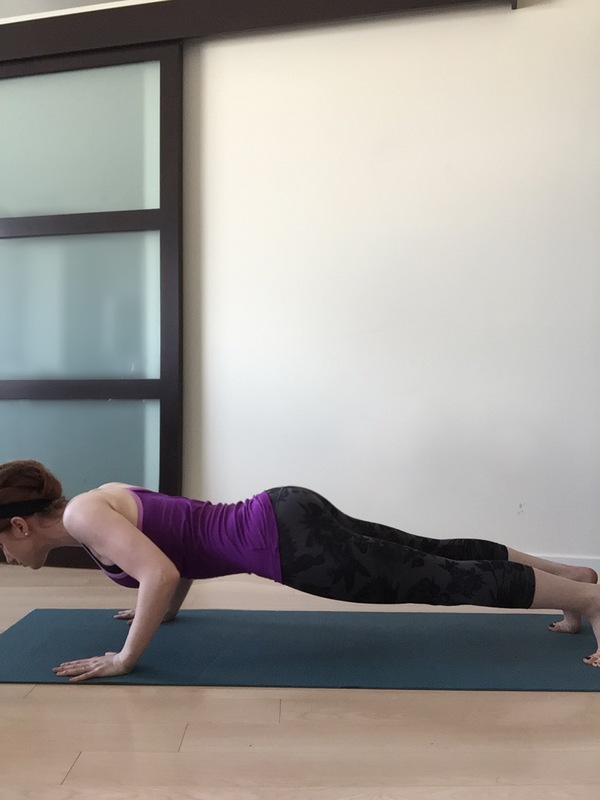 After you flow through the sun salutation A 5 times, you should start feeling much more flexible and warmed up. 1. Alignment not only helps you build strength by properly working muscles, it will also protect you limbs and joints. 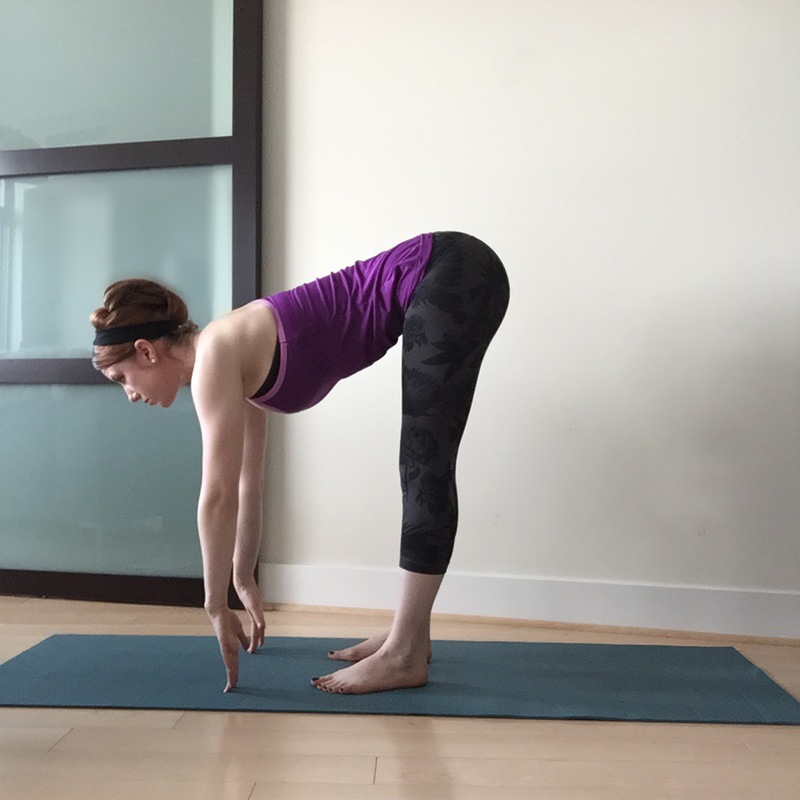 When your yoga instructor tells you make sure your knee is properly aligned, that means it’s not track OVER your toes or leaning to the right or left. It’s in a straight line. 2. 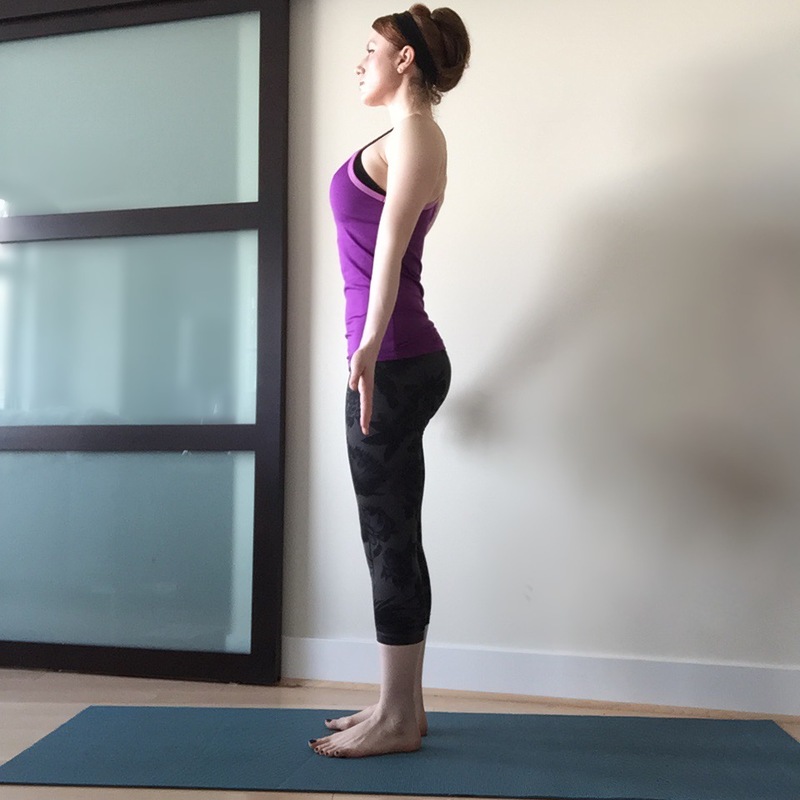 Keep shoulders pulled down away from ears in all poses. If you feel them shrugging up into a “turtle neck” pose, gently roll them back down your back. 3. 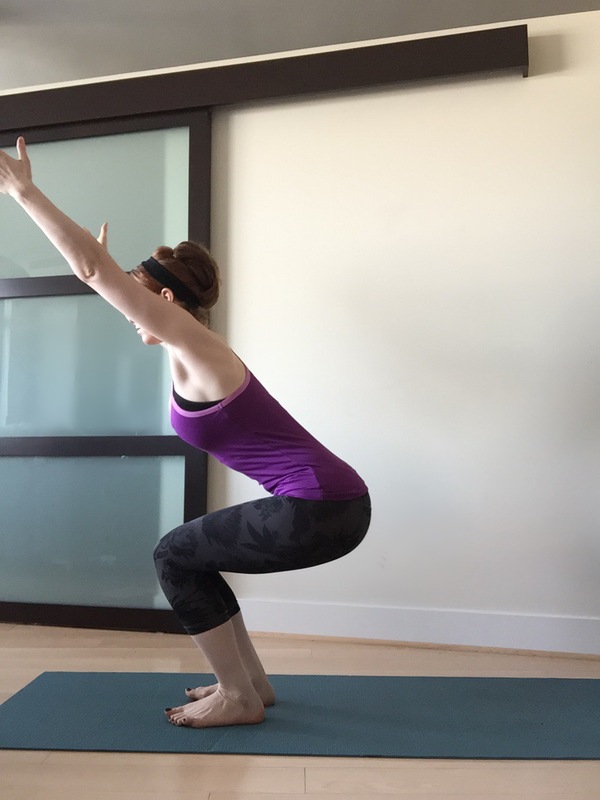 In chair pose, keep weight shifted to the back of the heels. You should be able to lift your toes. Shift tailbone slightly under, but you don’t have to do a mega-tuck. Just recreate the same pose you would if you were just about to sit down in a chair. Another tip about this pose: you don’t have to raise arms. You can do cactus arms on either side or bring them to prayer at your heart. This takes strain off your neck and upper discs in your back. 4. In warrior one, shift both hips facing forward. Try to keep them from turning at an angle. 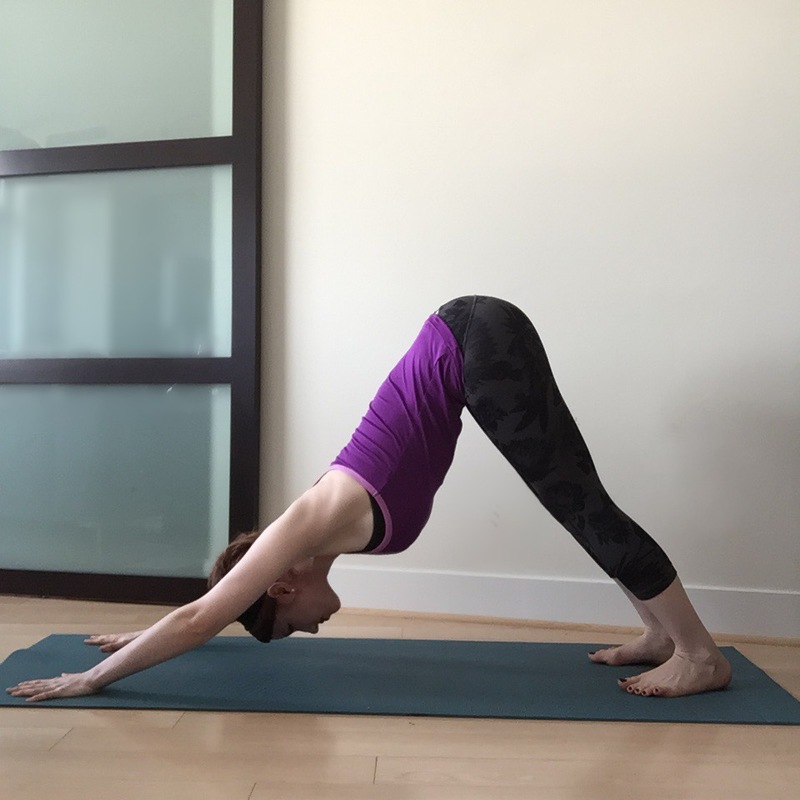 You don’t have to sink all the way down, but use your exhale to settle deeper in the pose. This is another pose to mindfully toll those shoulder away from your ears. Lift up out of your lower back, as though someone is pulling you up from a string attached to the crown of the head. 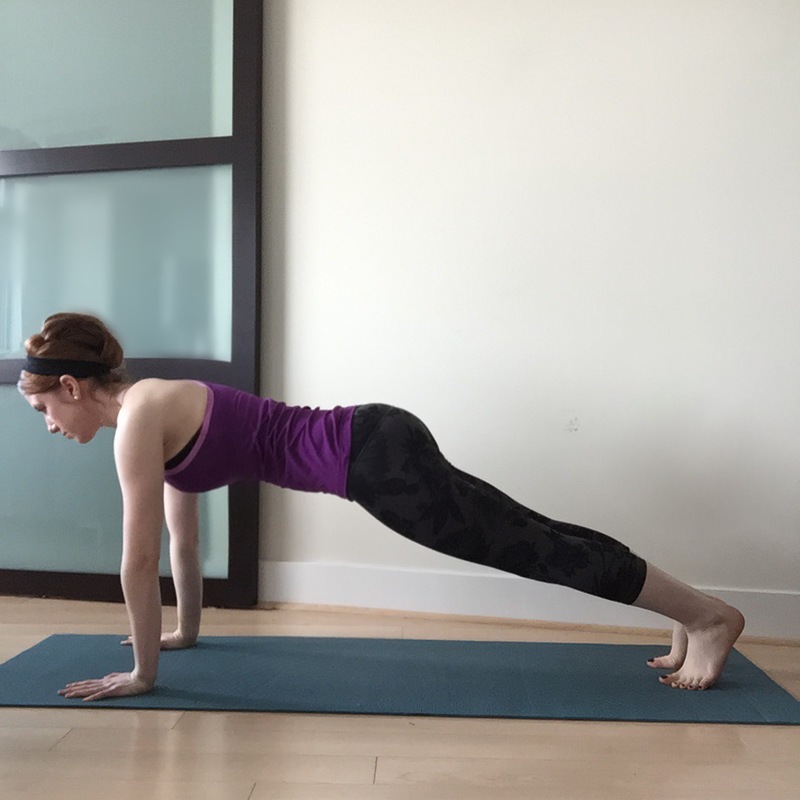 Try to not collapse down into your lower back so you avoid injury. 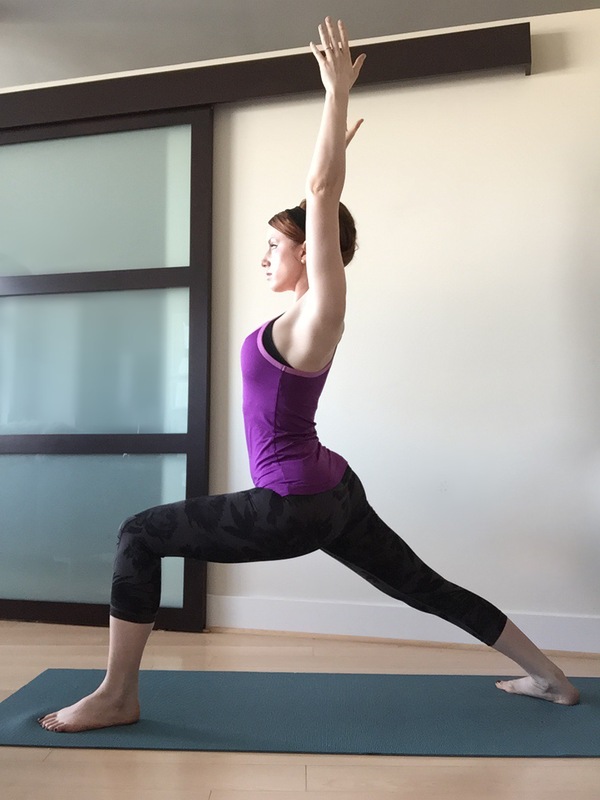 Stand in mountain pose: inhale deeply. Swoop up into chair pose. Exhale to forward fold. 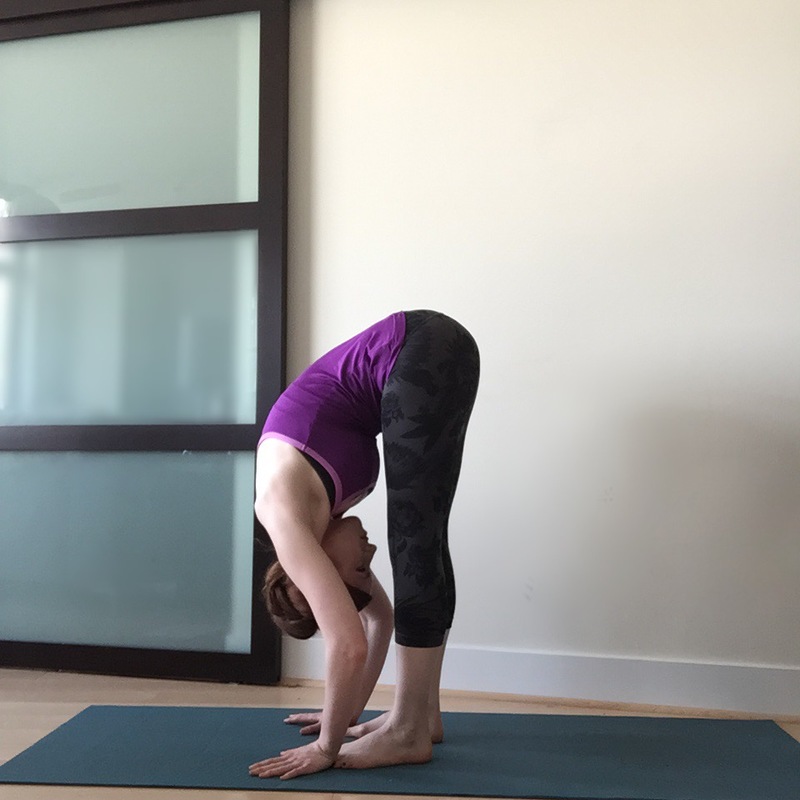 Exhale to Uttanasana or forward fold.